Having a source of electrical power during an emergency may not an absolute necessity. However, it will be a welcomed convenience, at least in our home. 1. Flashlights. These are a basic staple of any emergency preparedness kit. Flashlights are an everyday tool that you should always have with you. Finding yourself in the dark can happen everyday. If you carry a concealed firearm you should always have a good quality, reliable light with you at all times. If there's an intruder in your home when it's dark you had better be able to identify whether that person is a friend or foe before you pull the trigger. 2. Radios. Any small radio will do but I recommend that you have an emergency radio with weather channels as well as short wave bands. In a crisis the only form of communication that is almost always guaranteed to work is HAM radio. This includes short and long wave radios. If you truly want to be prepared get your HAM radio operators licence from the FCC and a HAM radio in either 2 meters and/or 440. These are the most common bands and there are many people already actively monitoring and using these bands. Two-Way FRS (family radio service) radios can also be effective tools during an emergency over short distances. Second, ask yourself these questions. How am I going to power these tools in an emergency? That's a simple question. Batteries. But, how will you power these devices in an extended crisis? Can you store enough batteries? 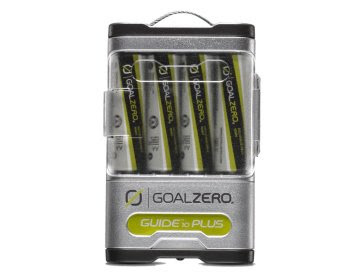 If you have rechargeable batteries how are you going to charge them? Powering these devices over a short period of time is easy, it's how to power them over an extended period of time that's the trick. The problem with power is that unless you change your lifestyle you will always need it. In an emergency or crisis your lifestyle will change dramatically. Unlike our day to day life, in an emergency there will be a stark difference between wants and needs. If you own a generator it can be a short term cure to many of your power needs. You do, however, need to determine what your minimum power needs will be and choose the size of your generator appropriately. You also need to determine how you will get that power to those critical appliances. You should also understand the limitations of a gas powered generator. You will either need to store fuel, which can be difficult and dangerous, or own a generator that is powered by natural gas or propane that can be connected directly to your natural gas line or propane tank. Even these options may not be 100% reliable in an extended emergency situation. You'll also need to know how to service your generator as a technician may not be available. Another problem with a gas powered generator is that they are noisy. Even the quiet Honda generators make a recognizable and distinct sound that tells everyone around that there's a generator running nearby. Noise can be your enemy when you are trying to lay low. Announcing to the world that you have resources in an extended emergency situation could cause you to become a target. Part of your emergency plan could or should be to incorporate how to live with not having power by making other provisions for activities like washing clothes and cooking. Is the expense of buying a natural gas generator and paying to have it connected to your home worth the expense? Or would you be better served by using those funds to buy more food storage? More on this topic in a future post. Take a look at one of my previous posts about how to build a power station which is an answer to some of these questions. http://www.preparedguy.com/2013/06/build-your-own-power-station.html This power station can allow you to recharge your batteries with a standard battery charger along with powering other small electrical devices such as a television or lamps. In addition to building a power station or having a gas generator there are several other options for generating electricity. 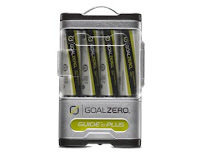 Below are a few links to some items that are both cost effective and and great ways to keep your flashlight and radio batteries charged. 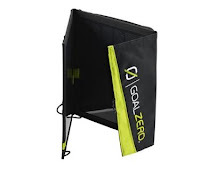 The goal zero guide 10 plus is a very cool tool that allows you to charge batteries from one of their solar panels and than power anything that can plug into a USB port. I have a few of these. 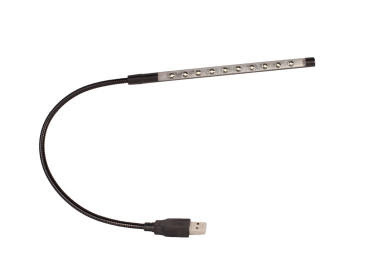 This little USB light plugs into the guide 10 and makes for a very convenient standing light. This portable solar panel will charge the guide 10's 4 rechargeable AA batteries in 2-4 hours of direct sunlight. This post is not meant as a gear review but rather to get you thinking about how you will be able to have some of the conveniences of power when you may not otherwise have it. I have several children at home. For them, simply having a source of light, especially in an emergency, will provide them some comfort and normalcy in an other wise potentially stressful situation. Music is also an important part of our lives and keeps our spirits up. Being able to recharge an iPod or other device to play some uplifting music, I know, in our home, will make a big difference. My thoughts on generating your own power today are based around sheltering-in-place or bugging-in and on the most basic power needs. The components I have shown above could also easily be included in your bug-out bag and taken with you almost anywhere. When it comes to power for your bug-out location or a more robust system for your bug-in location that is a topic for another post. I have designed and installed solar and wind power systems in both urban and remote locations and will dedicate one (or more) of my future posts more specifically on this topic.